It was a late spring day like any other. The front door seemed to slam repeatedly as the loud thud of the Mister's work boots walked to and fro, retrieving tools, taking measurements, an occasional hammer or electric saw. A tractor across the road set the dogs off on a barking frenzy. Somewhere, a car horn expressed discontent or malice. The phone rang. In accordance with the laws of nature, our phone only rings when my hands are full, usually carrying a huge pot of boiled water. Not wanting to waste it by pouring it down the drain, I was making my way outside to pour it on the weeds for some quick organic weed control. It's a constant battle to keep our stone driveway from sprouting a meadow in the warm months. Canning season does a lot for organic weed maintenance when I can kill them off with hot water. Ignoring the phone as usual, I made my way outside just as a car was pulling into said weedy driveway. A man poked his head out of the vehicle window. "Are you the goat people?" "Do you have goats?" he asked. I looked around to double check. What if I said no while there was a runaway goat standing behind me? I confirmed that we did not, but I know who did, and so after some directions to our neighbors, the man thanked me and made his way to the house one street over. But before he did, he made a curious comment. "It's so peaceful out here." Surely I gave him a look that showed I had no idea what he was talking about, but I did know. 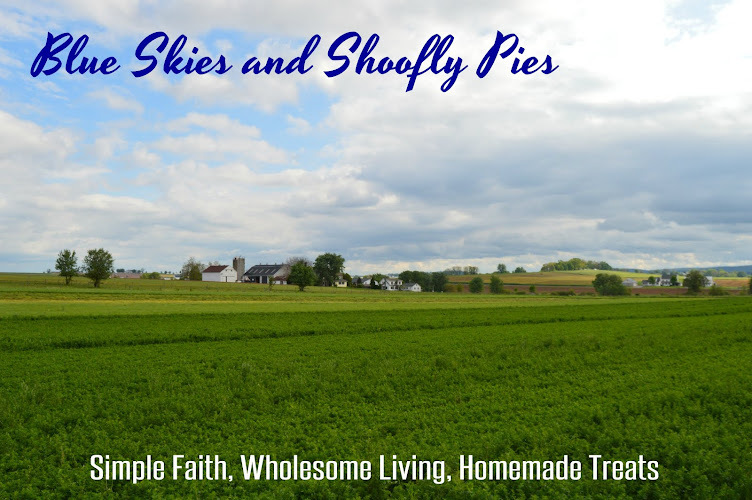 It's easy to view green fields and quaint country churches sandwiched between farm stands and feel, well, soothed. Even with nearby cities and suburbs encroaching from all sides, people find rural stretches of road synonymous with peace. Less traffic, less noise, more sky. I wouldn't trade it for anything else. I make peaceful living a priority. That means I limit artificial noise whenever possible, noise made by non-organic things. We'd rather hear the duckling laugh, the rain on the roof, and the dog bark rather than electronic beeps. I'm always on the look out to clear clutter, which is nothing more than visual chaos. We like fresh air and a relaxed lifestyle. All too often, these things elude me and circumstances takes over. Even the quaintest landscape looks most peaceful before the tornado funnel arrives. One way I've put more peace into my life lately is by throwing away my to-do list. This doesn't mean I chuck all my responsibilities out the door (who could get away with that?) but if I'm going to make peaceful living a priority, then I need to save my sanity and revamp my goals. Instead of a to-do wish list, I've started doing what I call "one big thing." Every day when I get up I ask myself what is the most important "big thing" that has to be done today. It could be laundry. It could be seeing a friend. It could be a much needed trip to the store, or a home project that needs attention. Barring sickness, emergencies, or locust plagues, I can usually get the one big thing done. Anything else I can do on top of that is icing on the cake, and it feels so good. Most of the time it's surprising how many other things I am able to get done besides the big thing, but there is no pressure to do them. I feel more productive and less stressed than when I held myself to a list of demands which often made me feel like a failure when I couldn't complete all of them in a single day. My image in the bird bath, looking for some still waters. What makes your life peaceful? Tell me about it, or just think about it, but by all means, don't put that on your to-do list. Gardening is one of the most peaceful things I do. It even helps me forget how busy my road has become. I bet there's a reason Adam & Eve were placed in a garden. That's an interesting thought! I do find gardening to be relaxing and meditative. Some insightful conversations with myself have happened with a hoe in my hand. This post is coming to me at such a perfect time, seeing as we just returned from our vacation in the "country". I even told my husband I am just a different person when things are peaceful and he agreed (I'm not sure if he agreed that I am a different person or he, too, is a different person). I think I tend to get anxiety when there's just too much - of anything. I couldn't agree more with the visual clutter statement, and I never understood the need for "background noise". This may sound crazy but one thing that gives me an almost instant dose of peace is lighting candles. I don't light them very often in the summertime but it's a quick way for me to wind down and reduce stress. Great post - and I love that birdbath, by the way! Peaceful . . . a clean house and lit candles . . . but . . . with my brood, I don't achieve that terribly often. Sitting outside in the dark on the step watching fireflies . . that's good too. Spending a day ALONE (which doesn't happen very often) and cleaning and sewing with no one else in the house. LOVE it when I can do that. Another nice thing, crazy as it may sound, is ocassionally when I take the time to watch a movie . . . I don't do it that often so it feels like a very special treat and it makes me happy. And the rare times I pry myself out of bed well in advance of anyone else being up and read the Bible and pray . . . that's pretty peaceful usually. The movie doesn't sound crazy at all. Anything I can alone is frankly, a peaceful experience. Alone time has always been my recharger. I think the one big thing is much better than my to do list. I never get it done, and that becomes quite discouraging. I'm going to try to switch over to one big thing. It will definitely make for more peace in my soul if I'm not trying to do everything all the time. Good luck Nancy. I hope it works for someone else, too! Thanks Richard, it's great to be back.